Ensure all taxes are mapped to the corresponding account and Submit the changes. Missing Account Mapping – This happens when you add a new category or product in Square and have the following settings in Amaka: (1) Invoice format is Categorized and (2) Enable Fallback to Default Sales Account is off. To resolve this, you can either turn on the Enable Fallback to Default Sales Account toggle or map the new item in the integration settings in Amaka. To resolve this, make sure that the integration is activated. Try logging out from Square dashboard. In the setup wizard, connect Square and log in in the connection window. Try connecting in a different browser. If you are using Google, you can try browsing in Incognito window or browse as Guest. 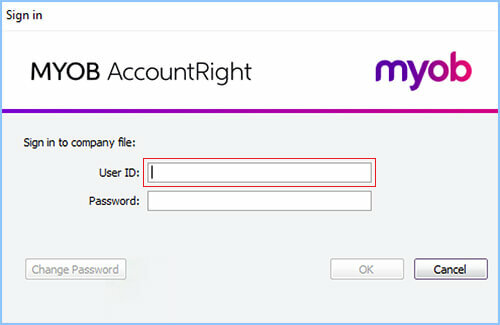 Before connecting, make sure the user is not logged in to the MYOB File. View the list of invoices in your MYOB Essentials package and identify the next available invoice number that doesn’t yet exist e.g. if the last invoice number created by the integration is 10, then the next available invoice number is 11. In the “Next Invoice Number” field set the number to the next available number that doesn’t yet exist in your MYOB Essentials invoice list (e.g. 11 from above). Select “Save”. Your sync will automatically restart after a few minutes. If someone set up the company file on your behalf, you can contact them to request the correct credentails to sign in. If you created the file, try entering Administrator as the User ID and leave the Password field blank. Still password or sign in issues? If you cannot find your credentials or if you are having issues signing in to your company file, you can follow these instructions. Go to “Connected Accounts” page in the top menu. Locate the disconnected Square account and click on the three dots to the right to reveal additional options. Follow the screens to reconnect the account. Make sure you log in and connect the same account and company as before. Once the account is reconnected, click “Integrations” in the top menu. Locate the integration using that account. You will notice an “Add scheduler” link on it. Click “Add scheduler” to set up the sync schedule. Click “Save+Continue” button and review the sync schedule. Click “Save+Continue” again to return to the “Integrations” page. Activate the integration by turning the switch ON. Repeat steps 7-11 for other integrations associated with the previously disconnected account. The sync should start automatically as per your scheduler settings.